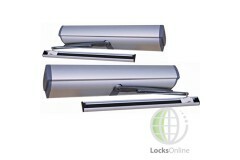 Electronic Door Openers make opening and closing your doors easy! Having the option to automatically open and close your doors can be both highly convenient and in some cases essential for building access. Whether it be at your home to provide ease of access, or at a commercial premises to make access quick, easy and convenient for all users, whilst also fulfilling DDA requirements for disabled access, electronic door openers take the hard work out of it all! 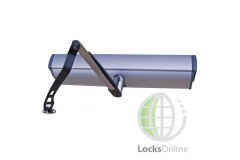 We have a range of door opener systems available from basic operation for single-door setups right through to full commercial twin-door operations whereby each door can be set to operate individually or in sync with each other. 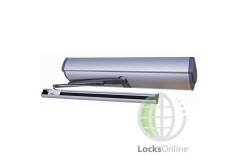 The LocksOnline Easi Auto Opener is an electronic door operator for swing doors that allows them to ..